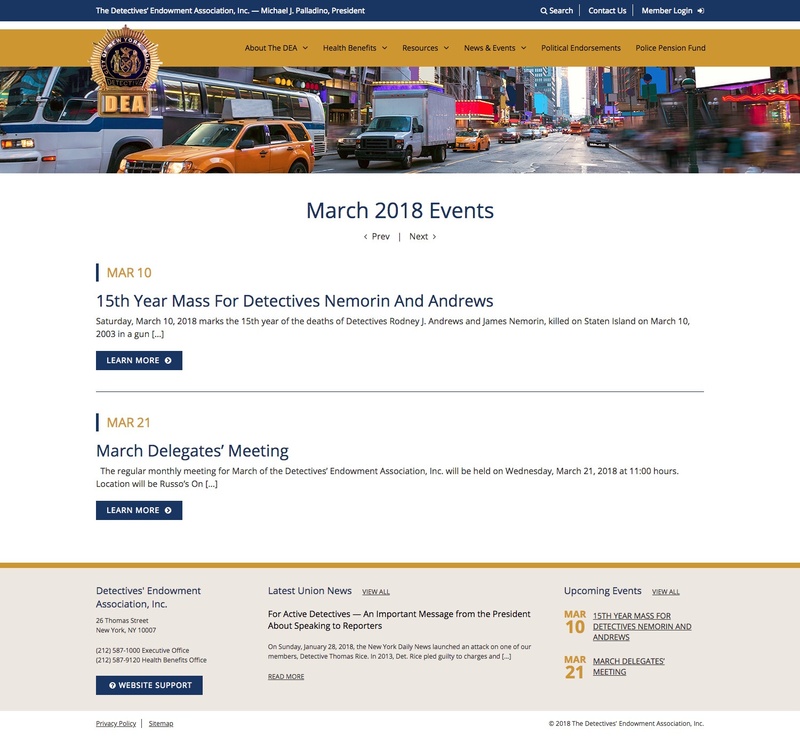 EGC is proud to partner with the NYPD Detectives’ Endowment Association (DEA), and honored to completely redesign and rebuild their website. 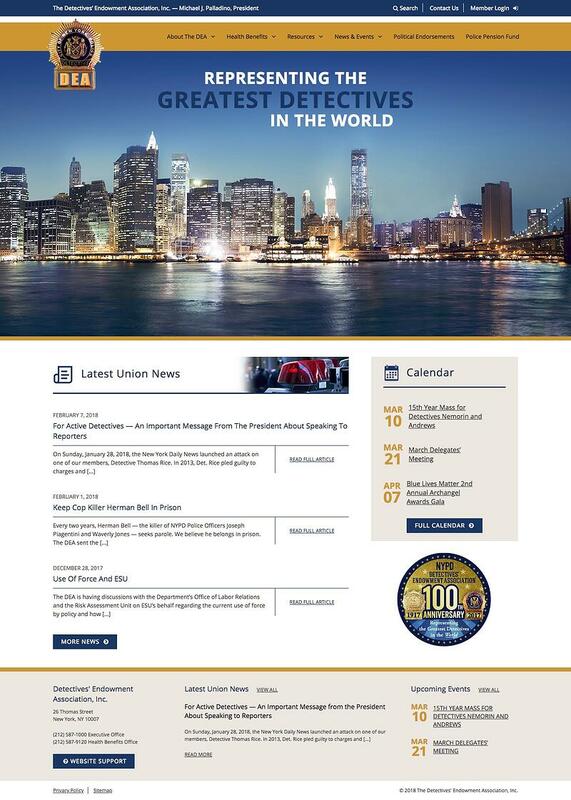 Our goal was to keep all NYC Detectives – active and retired – up-to-date with the latest news, events, and information. We also implemented a “Website Support” request system, which includes an FAQ to help minimize incoming requests. The membership system is also integrated with MailChimp. This allows the DEA to contact members easily with the use of pre-designed email templates and segmented lists.